London five-piece Fanfarlo return with their first new music in 18 months in the shape of new 4-song EP entitled ‘The Sea’ which is due for release next week (artwork above). In the interim, the quintet recently shared the EP’s opening track, “A Distance”. Characterised by its kitschy, vintage sounding Moroder-style arpeggios and synth strings, “A Distance” is a brilliant funk-driven and danceable pop tune that sits somewhere between Talking Heads and Simple Minds. Lyrically, “A Distance” explores the “fraught attempts at communicating with each other” and “how it seems we are reduced to some sort of echo or projection of ourselves in someone else’s brain”. After just one play, its infectious chorus will take up home in your head immediately. But despite its obvious pop elements, there’s actually a lot going on musically too ensuring this is more than a play-once-and-discard pop tune. A brilliant taster for the upcoming EP, turn it up, and shake it. 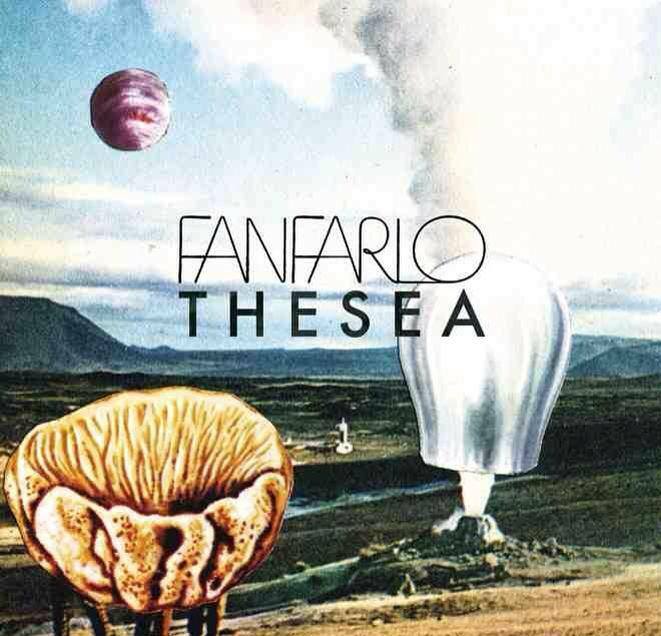 ‘The Sea’ EP featuring “A Distance” will be released on 14 October, 2013. “A Distance” will also be featured on the band’s forthcoming third album. Update – 4 November, 2013: Watch the video for “A Distance” below.